Admissions at EWU are not highly competitive, and qualified applicants are likely to be admitted. Students, in order to apply, will need to submit an application, along with scores from the SAT or ACT, a short essay, and high school transcripts. Be sure to visit EWU's admissions website for updated information, and contact the admissions office with any questions you may have! Eastern Washington University, is a regional public university located in Cheney, Washington, about 16 miles from Spokane. The 300-acre park-like campus is a short drive to skiing, fishing, canoeing and other outdoor recreation. Undergraduates can choose from over 100 fields of study, and the school has a 21 to 1 student / faculty ratio. The school ranks well among master's level institutions in the West, and G.I. Jobs magazine named it a military friendly school. The university has an active Greek system with seven fraternities and eight sororities. 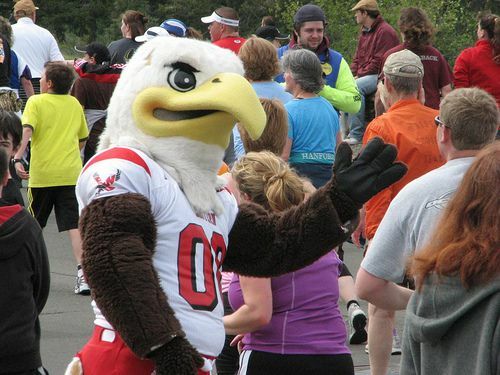 In athletics, the Eastern Washington Eagles compete in the NCAA Division I Big Sky Conference. The school's 117,699 square foot Recreation Center features an ice rink, 30 foot climbing wall, large fitness center and dining area.